ADBSA Aeta Elementary School is a school in Iba, Zambales where 97% of its population is composed of indigenous Aeta children. They come from families who were displaced by the Mount Pinatubo eruption on June 15, 1991. Their families earn through farming. One of the students experiencing this story is Melanie Mangatuliran. A grade six Aeta student. She’s active in school. Everybody knows her because she’s known as the school’s resident singer. “Dalawa o tatlong gamit (notebooks) lang po yung dinadala ko sa school,” she said. (I only have two or three notebooks with me when I come to school.) She has seven more siblings and three are also studying in the same school. Recently, Melanie’s school became one of the beneficiaries of Operation Sagip’s Gusto Kong Mag-aral Project. 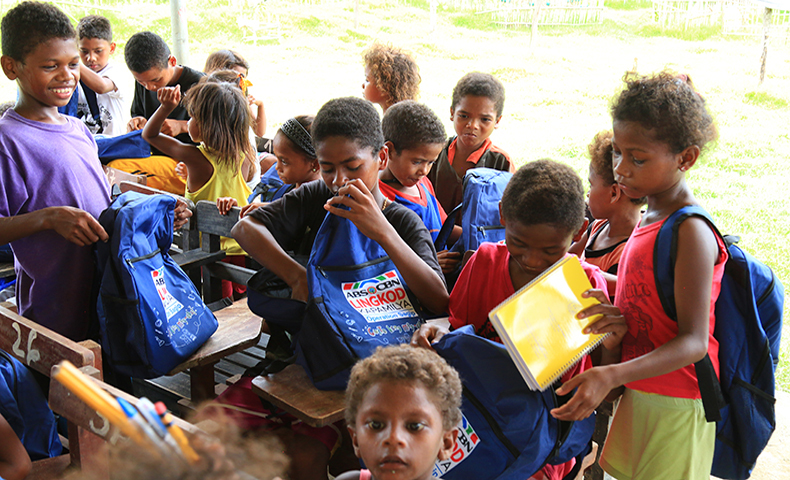 120 students from ADBSA Aeta ES became the recipients of new backpacks with school supplies. 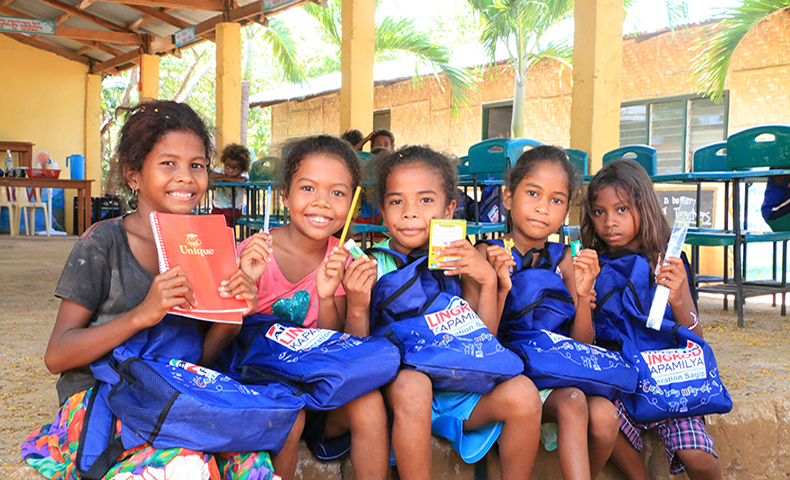 Each backpack has 10 notebooks, two pieces of erasers, rulers, and sharpeners; black and blue ball pens, pencils, and a box of 16 crayons. Some of the students were able to see a ruler for the first time. They stutter as they say the word, interchanging the L and Rs. Most are very excited to open their box of crayons. 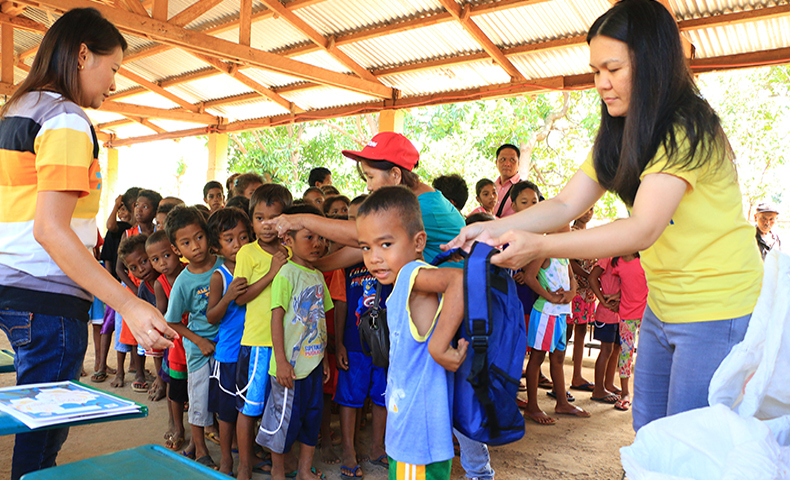 Students of Lupang Pangako Resettlement School checking their new backpacks and school supplies. A total of 1,514 students in Zambales benefited from the project. These students are from ADBSA Aeta ES, Marciano Abella ES, Doña Luisa Obieta ES, Lupang Pangako Resettlement School, Reserva ES, Cadmang ES, Burgos ES, Poonbato ES, Maguisguis ES, Villar ES, and Eco Village Daycare Center. The Gusto Kong Mag-aral Project already reached more than 30,000 students in schools of Palawan, Catanduanes, Bataan, Bukidnon, Bataan, Albay, Camarines Norte, Camarines Sur, Pampanga, Nueva Ecija, Cagayan de Oro, Bulacan, Benguet, Zambales, Ilocos Norte, Quirino, Aurora, and Batangas. It will continue in Laguna, Mindoro, Quezon Province, Pangasinan, Antique, Aklan, Capiz, Bohol, Cebu, Samar, Leyte, Compostella Valley, Lanao del Norte, and Zamboanga de Norte. Operation Sagip aims to reach more than 100,000 students before the school year of 2017 starts. 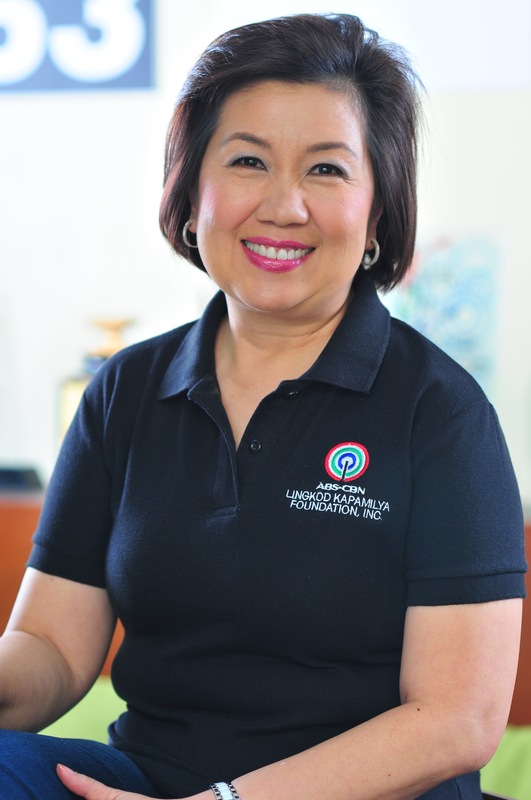 For more information, visit www.abs-cbnfoundation.com or follow its official facebook page, www.facebook.com/abscbnfoundationkapamilya. You may also follow the #GustoKongMagAral tags online.